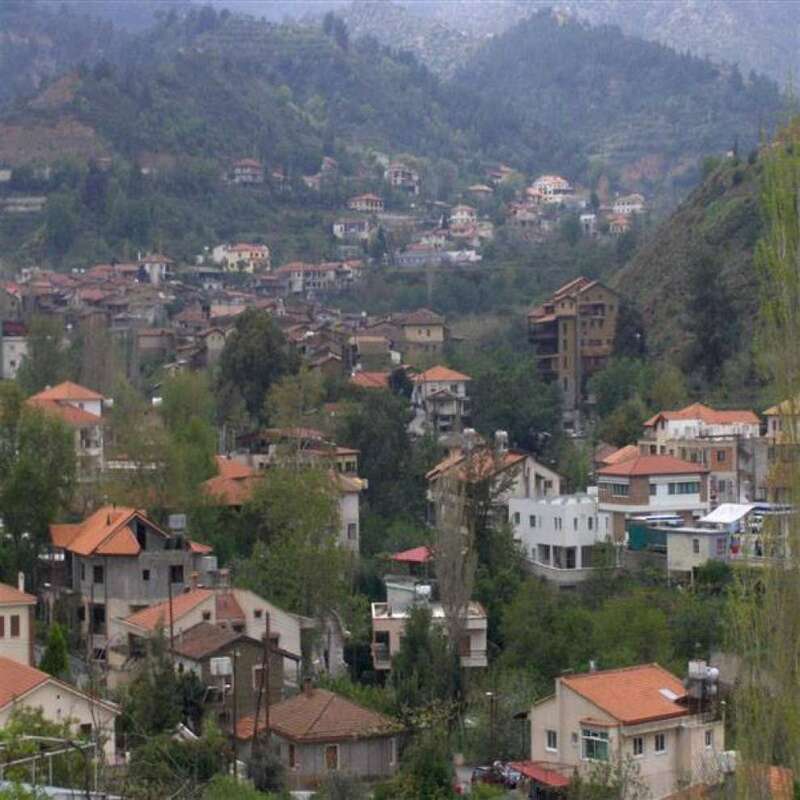 The village of Kakopetria is built in the southwest of Nicosia, at the foot of the northern side of the Troodos mountain. It is about 55km from Nicosia and 55km from Limassol. The community of Kakopetria has about 1,300 permanent residents. Kakopetria is situated at an altitude of 667 meters above sea level, between the banks of the Kargotis and Garillis rivers. The two rivers merge into the village and form the Clarion River, which crosses the Solea valley and then flows into the Gulf of Morphou, Pentagia. To the east of the valley is the new Kakopetria with its large modern houses, with tiled roofs. To the west of the valley and between the two rivers, old Kakopetria is built with its narrow and helical streets. The roofs of the houses are sloping and tiled and almost all the houses have an upholstered and wooden balcony. In the area, fruit trees are grown mainly apple trees, pears, plums, apricots, peach trees and cherries, vegetables are mainly potatoes and tomatoes, vines and a few grains. Regarding how the village was named "Kakopetria" there are, according to tradition, three versions. The first version states that it was named after the two words "bad and stone" because in earlier times its location was rocky and inaccessible. The second version speaks of the great stone found on the big bridge at the entrance of the village, known as the Stone of Androgion. Traditionally, the newly-married couples used to sit on this stone. One day the stone rolled away and crushed the unfortunate couple to death. 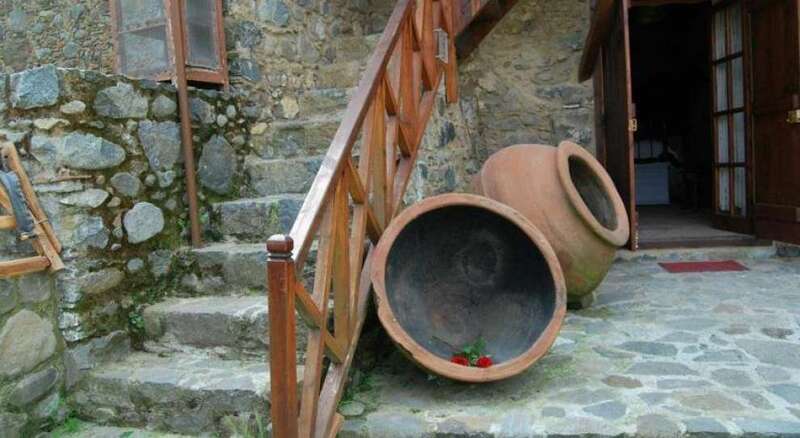 After this event, the inhabitants called the stone "Kakopetra" (bad stone) and then the village was named Kakopetria. Kakopetria, as mentioned by the medieval chronographers, has existed since the Frankish era. On old maps the village is referred to as Cacopetria or Chachopetria. It is probable, however, that in the area there were settlements before, during the Byzantine period. According to the historical excavations that took place in the area of ​​old Kakopetria in 1938, Kakopetria seems to have been inhabited around the 6th-7th centuries. During the excavations a depositor of an ancient sanctuary, probably belonging to the goddess Athena, came to light. A great number of findings were found representing the goddess Athena, as well as limestone small statues, bronze and iron spikes of arrows and spears. The findings are dated to the Cycladic period. Other statuettes that have been found depict Hercules along with the goddess Athena. These findings are at the Nicosia Archaeological Museum. Kakopetria was a village famous for silkworm rearing and production, as well as silk processing for many years until even after the Second World War. Taking a walk in Kakopetria you can come across several churches such as the church of Agios Panteleimonas which was built in 1994 with a Byzantine style and dome, the church of Agios Nikolaos tis Stegis built near Kakopetria mountain and is the only remnant of an old monastery founded in the 11th century . Unesco has included the church of Agios Nikolaos tis Stegis, due to its particular value, on the World Heritage List. Additionally you can also find the church of Saint George the Concessioner in the north of the village building of the 15th century. 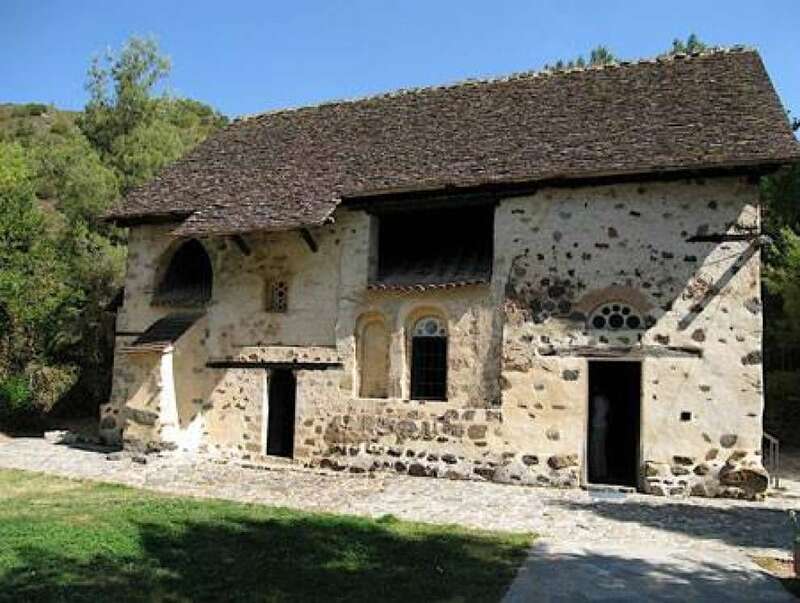 The church of Panagia Theotokou was built in 1514, with frescoes of the first half of the 16th century. The church of Savior built in 1520. And the chapel of Saint Fanourios. 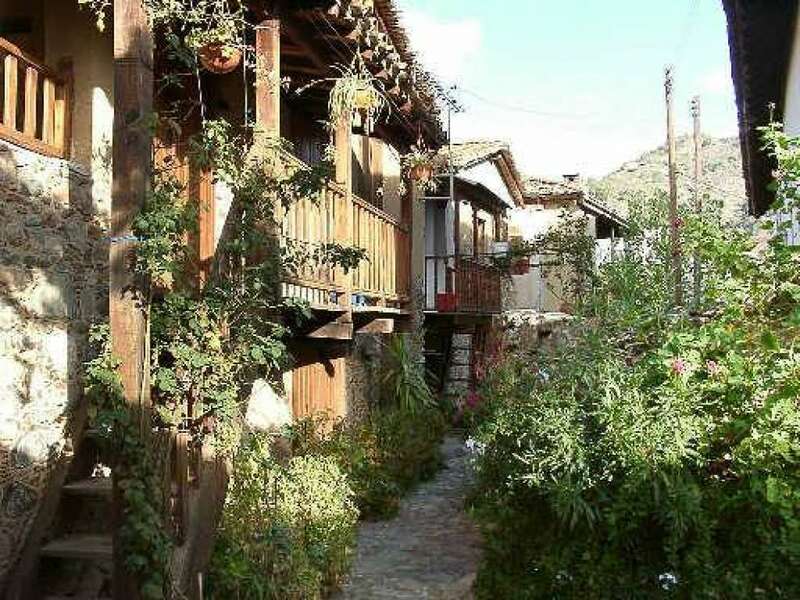 Visitors to Kakopetria must visit the old Kakopetria with its narrow, picturesque streets and traditional houses with their charming wooden balconies. 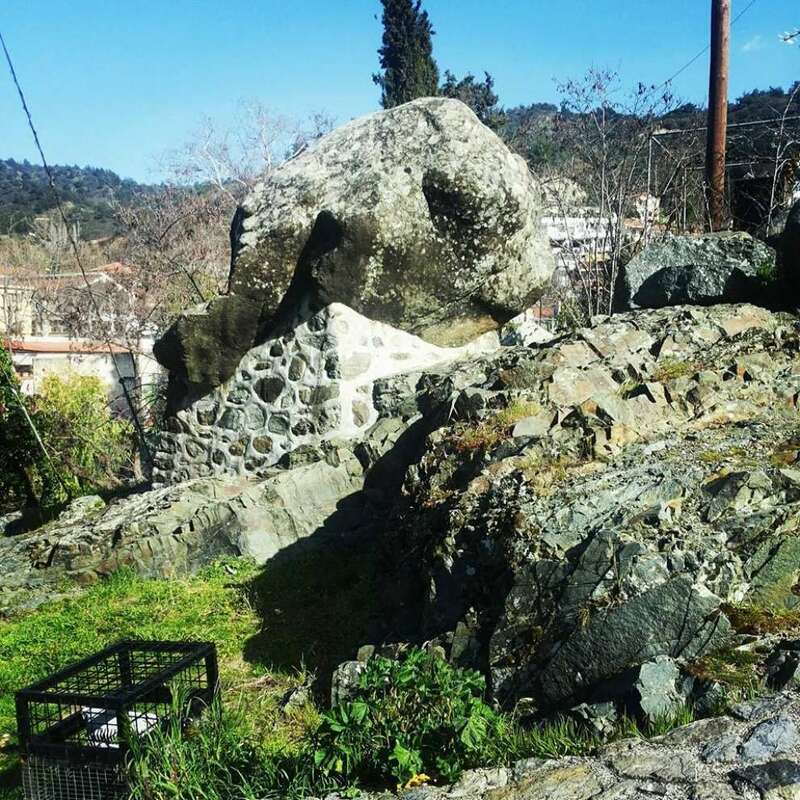 At the entrance of old Kakopetria you can see the so-called Androngos stone. According to tradition and myth, when a couple was married, they had to walk round the stone, sit on it and make a wish for their marriage to be so strong that they can get through anything. However, this tradition caused an unpleasant event. A couple, when it reached the rocks to carry out the above custom, the stone collapsed from the mountain, rolled away and crushed the unfortunate couple to death. This stone is associated with the name of Kakopetria, since the inhabitants described this stone as evil (evil stone = Kakopetria). In Kakopetria there are several watermills due to the abundance in water from the rivers Kargotis and Garillis. The watermills of the area were the Milos of Gonia, built above the main road on the left bank of the Agios Nikolaos tributary and the Chatzistavrinos Mill, built near the main road at the bridge. These two watermills began operating in 1754 and ceased after the end of the Second World War. In addition, the village of Kakopetria has a power station that was put into operation in 1926 and had as its source the water. In Kakopetria there is also a square and there is the "Park of Elena". In the park there is a beautiful waterfall and benches where the visitors can admire the beautiful view, listen to the serene sound of the waterfall and enjoy the freshness of the atmosphere. Near the village there is a camp and a tourist area, it is near the Platania forest station. We should also mention the hero monument in Kakopetria, which refers to the heroes of the National Liberation War of 1955-1959. 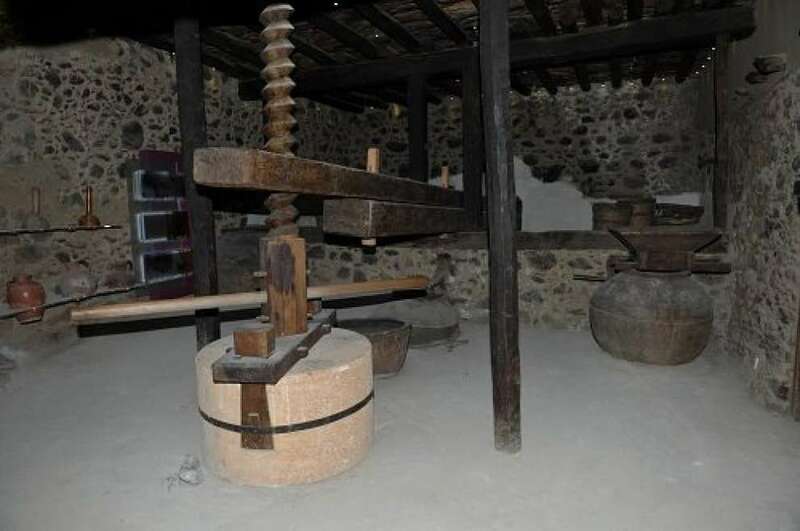 Like the "Linos" Museum, which is housed in the old Kakopetria and consists of three thematic circles dedicated to wine, bread and oil. The "Elyomilos" Museum, which is housed in the courtyard of the Church of the Savior, in the old picturesque neighborhood of Kakopetria. Finally, in Kakopetria there are hiding places built by EOKA guerrillas, scattered on the hillsides of Kakopetria. Two of them are built in the "Vrysi" area of the Peteros peak and the Kargotis River valley, in the "Yambakka" location opposite Pezinokremos. 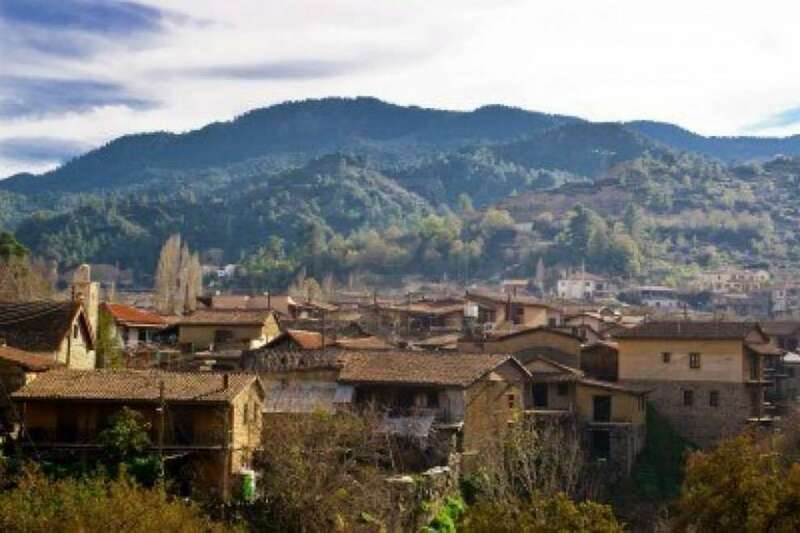 In the forest of Kakopetria, which covers an area of 25,550 hectares, you will see natural beauties, with nature trails such as The trail starting from Xylovrisi Troodos - Memorials of the Bishops and ending at Apotheri. The trail that starts from Kanoures - Peyounokremmos and ends at Agios Nikolaos tis Stegis. 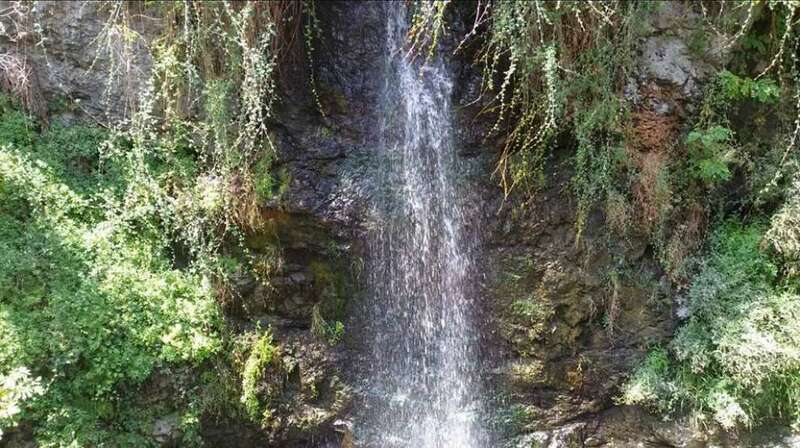 The main locations of the forest are: Laxia tou Koufou, Skotini, Apotheri, Pezounokremmos, Zoumi, Neron tou Pefkou, Kokkinorotsos, Troullin tou Mouchtari, Livadi tou Papaphilippou, Pitera, Mnimata ton Episkopon, Alas, Platania, Karvounas, Pikromiloudi, Kannoures and Fterikeri. Inside the forest you will see many types of trees and bushes, such as pinus brutia, Pinus nigra, the Troodos cypresses, plane trees, latzia, antrouklia, sfentamies, sterakies, wild apple trees, wild roses and xistarkies. Today (2018), Kakopetria attracts thousands of locals and tourists mainly during the summer months due to its cool vineyard and the many attractions the visitor can visit, offering fresh air and endless tranquility.